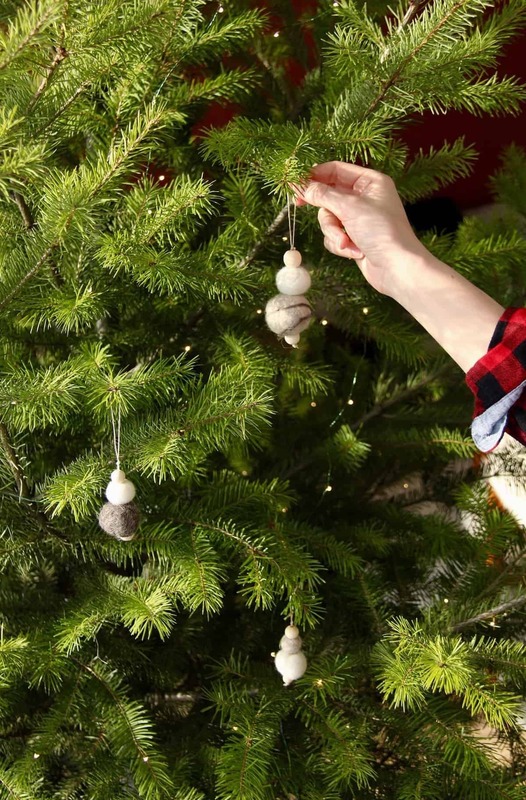 This DIY tutorial shows how to make felt ornaments. 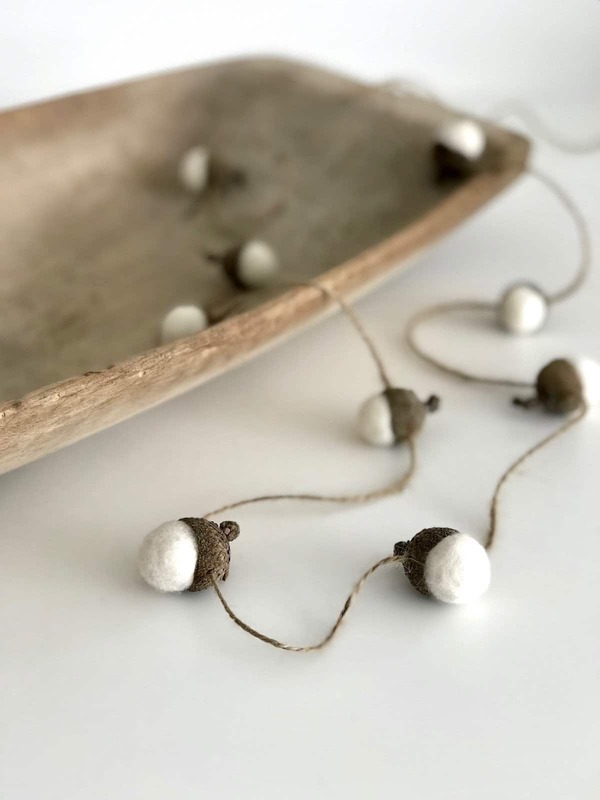 These handmade Scandinavian christmas ornaments are perfect for modern Christmas decor (and they also make lovely gifts)! They almost look like little minimalist snowmen, perfect for a magical nordic holiday. 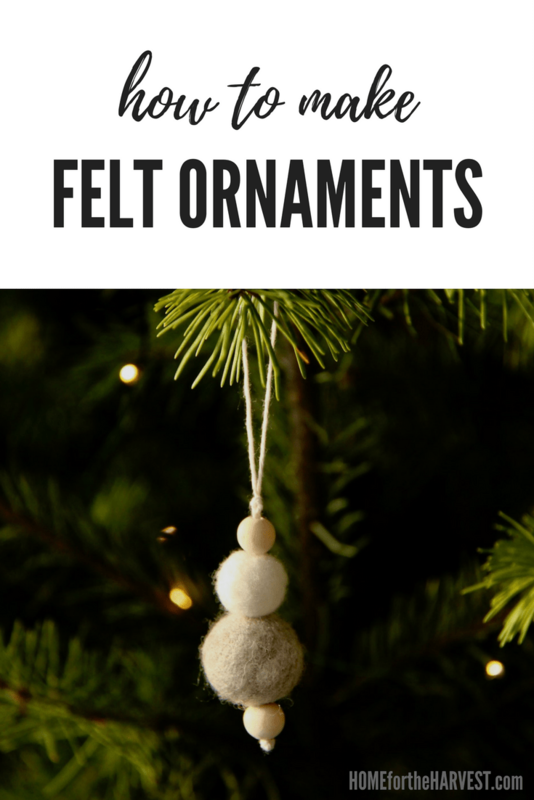 Also check out these DIY felted acorn Christmas ornaments and this felted pom pom garland tutorial. 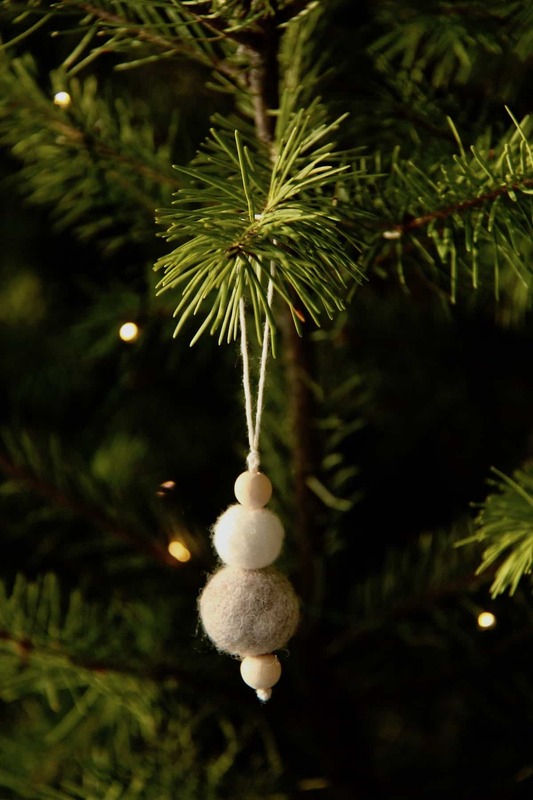 Felt pom pom ornaments are all over Pinterest and are quickly becoming the next Christmas craft trend. 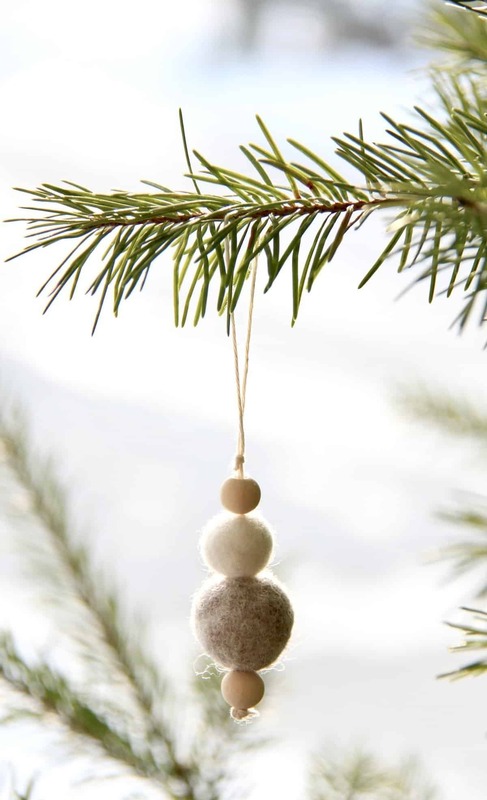 Felt ornaments in general are gaining popularity as nordic design trends around the holiday season. 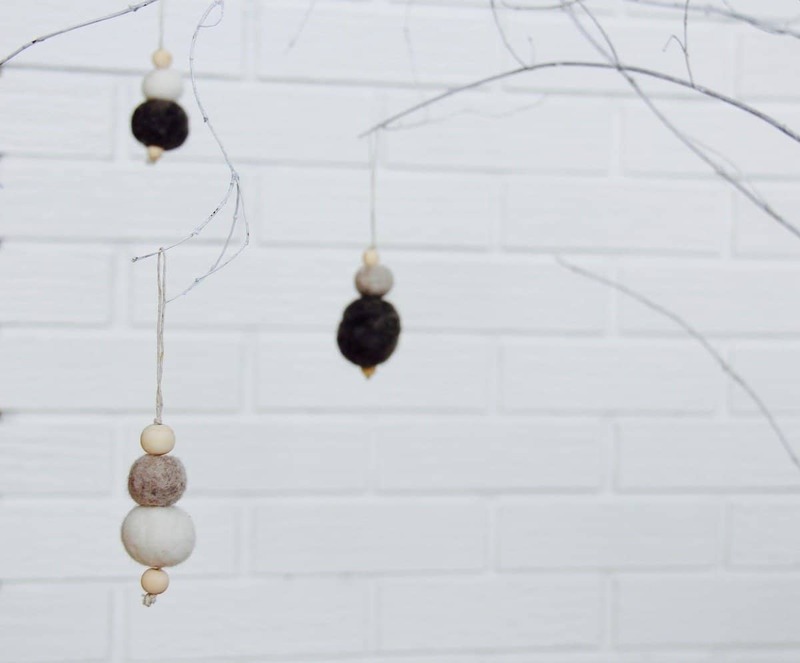 These little hanging pom poms look like modern snowman Christmas ornaments. The wood beads and felt pom poms are the perfect neutral combination. 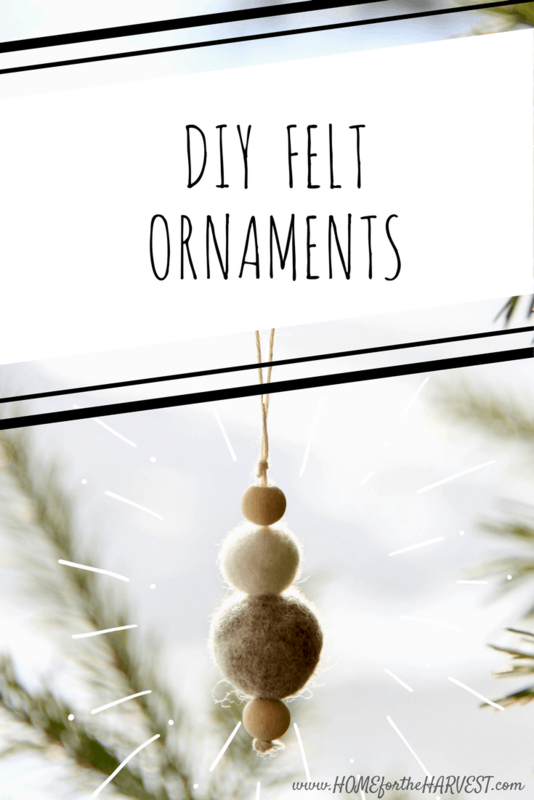 By learning how to make felt ornaments, you can deck out your own home and also make extra for friends and family! Once you’re set up to make one, it’s simple to assemble more of these little felt ornaments to give away. Felt Pom Poms, either store-bought (check out the pom poms on Amazon or order from Etsy) or make your own using these instructions. Get all your supplies together before you start! Gather your supplies (see section above for supply list). Either make your own felt pom poms (instructions are here) or buy them pre-made from Amazon or order from Etsy. 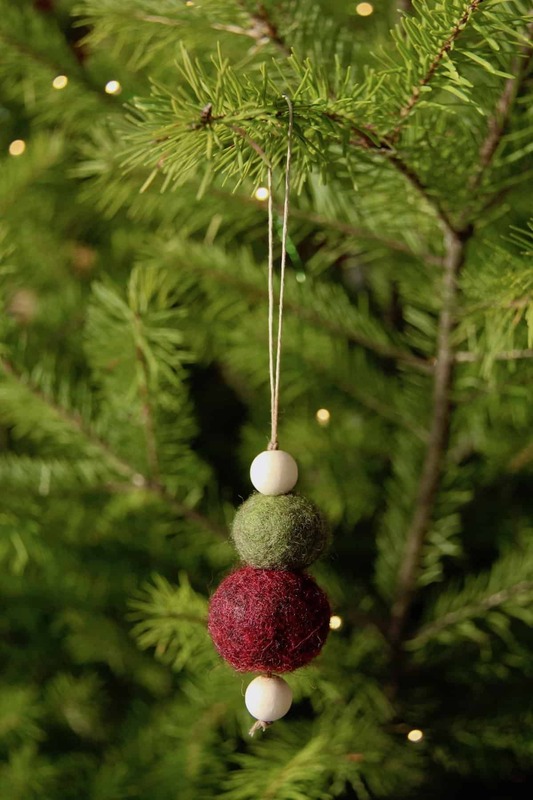 Plan your ornaments by laying out your felt pom poms and wooden beads into lines. I like to mix up different colours and textures so that each ornament is slightly different. 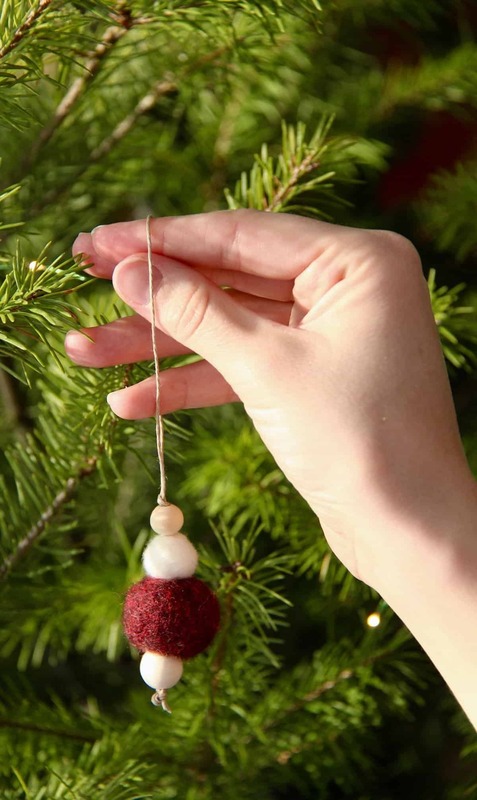 Measure out and cut a length of string for the first felt ornament. A length of string that’s between 45 – 60 cm (1.5 feet – 2 feet) works well for each ornament. Thread the string into the embroidery needle. Thread the first bead onto the string. A bead with a small hole or a felt pom pom seems to work well on the bottom. Tie a loose knot around the first bead just so it doesn’t slip off the end. Thread on the rest of the felt pom poms and beads so that all of the beads are on the thread. Leaving a loop of string at the top of the ornament, thread the string back down through all of the beads (see photos below). Tie a knot just above the uppermost bead to create the hanging loop. Tighten up the beads and felt together along the string. Tie another knot at the bottom of the felt ornament. Make sure the knot is big enough so that it can’t pull through the beads (tie extra knots if required). Trim the extra string off below the bottom knot. Hang up your new felt ornament! What colours of felt will you pick now that you know how to make felt ornaments? I love wintery neutrals, but the festive red and green felt ornaments also turned out really well! 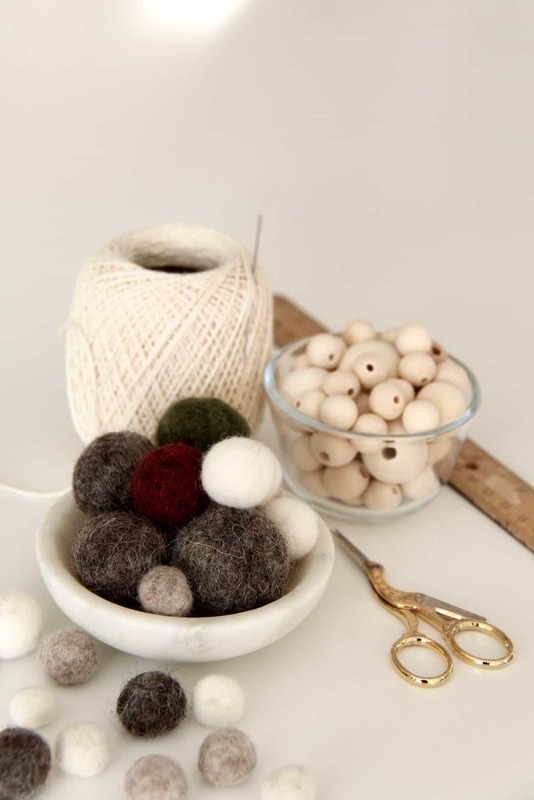 While you’re learning how to make felt ornaments that use pom poms, check out the other DIY projects that also use hand felted wool pom poms. 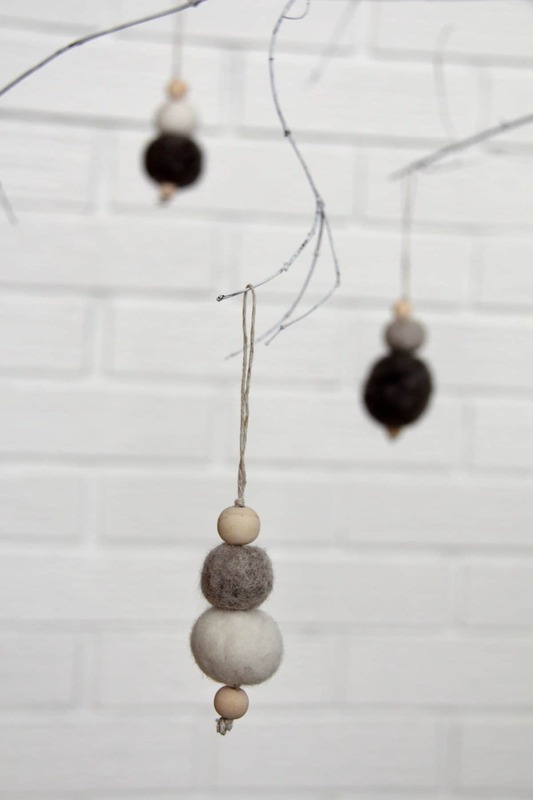 This felted pom pom garland is also a fun and easy project you’ll be able to do with the same supplies as these ornaments. 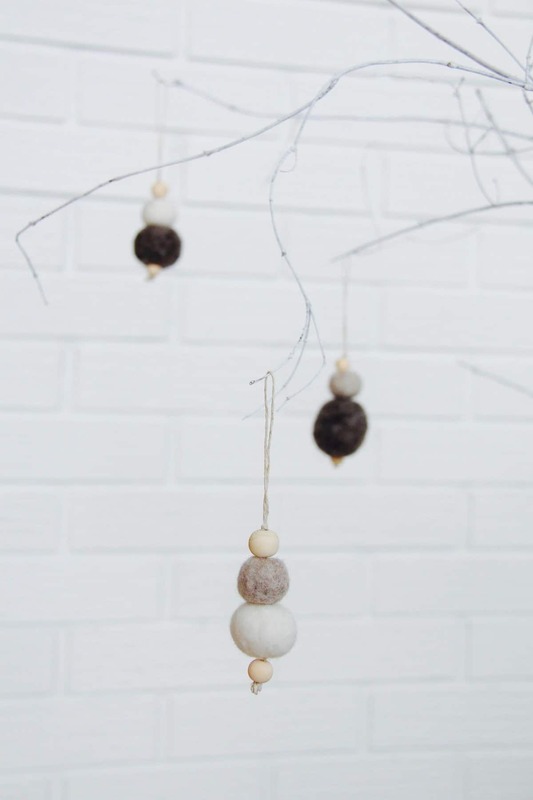 These DIY felted acorns are adorable and can be made into single ornaments or into a garland. 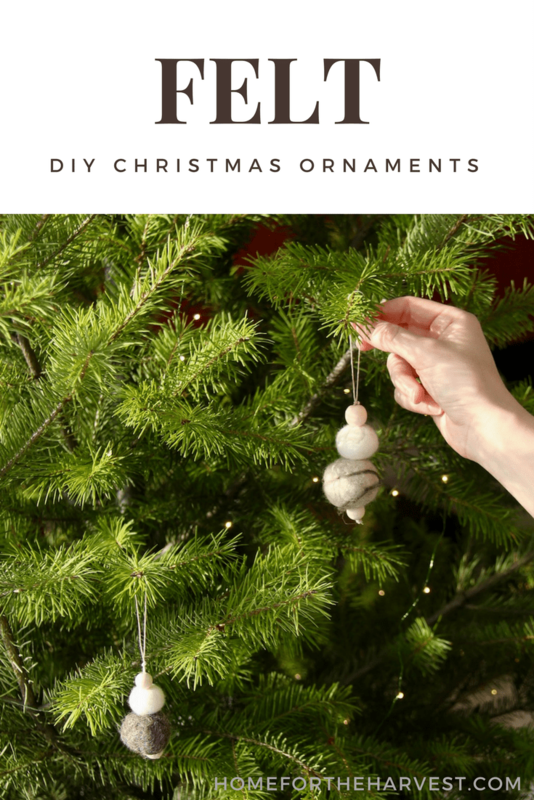 Also check out this list of other Natural DIY Christmas Decorations.